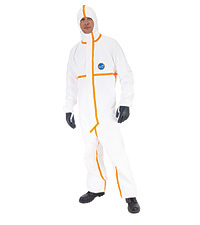 Tyvek® 800 J is a new, limited-life Type 3* chemical protective garment from DuPont that combines resistance to pressurised jets of water-based chemicals with breathability, durability and freedom-of-movement thanks to its 'Tyvek® Impervious Technology'. 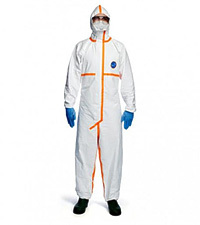 The outcome for wearers of the new Tyvek® 800 J is reassuring protection that is both comfortable and robust. 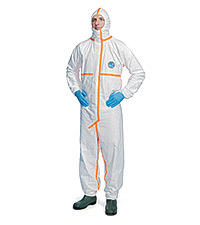 It has been designed for work in very humid applications requiring chemical, liquid and/or oil protection. * Additional taping of cuffs, ankles, hood and zipper flap required to achieve Type 3 liquid tightness.